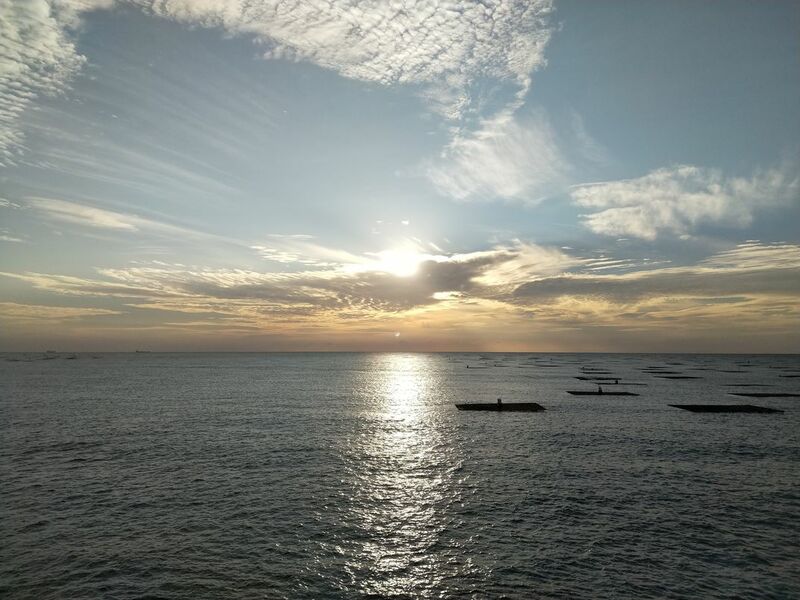 This picture is showing a sun set at the edge of the sunset platform in Tainan city, Taiwan. Fishermen sometimes leave the harbor to check on the cage fish floating on the right. Large merchant vessels can be seen on the horizon on the left.